Start the first 5-10 minutes of your run at a slow jog and gradually build up to your regular running pace. Make gradual changes in your training program. Especially if you haven’t been running over the winter, it is important to give your body time to adapt to a new activity so that your muscles, tendons, and ligaments do not get overused. If the mechanical stress of running exceeds your bodies’ ability to adapt, your tissues will break down and you will get injured. Build up your distance gradually. Try not to increase your mileage more than 10% per week – research evidence shows that this is the critical threshold for increasing your risk of injury. Vary the type of runs and pace. Try flat runs, hills, speed intervals, and slow jogs on different days of the week. Also try running on variable surfaces such as trail, grass, pavement, track, and treadmill. This will challenge your muscles to work in different ways and reduce the likelihood of developing overuse injuries. Don’t run every day (unless you are used to doing this without injury). Build in rest days and try cross-training activities such as swimming, biking, hiking, or any sport that you enjoy. Different activities use different muscle groups and will decrease repetitive strain on running specific muscles. Try to keep you’re your cadence over 170 strides/min. This may mean shortening your stride length in order to achieve more strides per minute. Recent research shows that maintaining a pace of 170-190 strides/min will maximize your efficiency and minimize ground reaction force. By taking shorter, quicker steps you will spend less time on the ground and reduce your landing impact. To achieve this think of “running quietly” and landing softly. Use your muscles to absorb the impact and spring back up quickly. This will decrease stress on your joints. To calculate your cadence while running, count how many steps you take in 15 seconds, then multiply this by 4. Try to keep your number at or above 43, which equals a cadence of 172. Transverse Abdominus (TA) muscle – this is your deepest core muscle that wraps all the way around your pelvic area. It is very important for stabilizing your spine while running. In order to engage this muscle, think about gently drawing your belly button in and squeezing your lower pelvic muscles as if you are trying to stop yourself from going to the bathroom. If you are not used to engaging these muscles while you run, practice gently tightening and holding this muscle for as long as you can, then relax and try again. The goal is to train this muscle to work automatically while you run to provide stability for your trunk and lower body. Glut medius – this muscle is on the side of your gluteal area. It is important for keeping your pelvis level while running and walking. A weak glut med muscle will result in your pelvis dropping on one or both sides as you run, creating uneven forces on your back, hip, knees, ankles and feet. There are many ways to strengthen this muscle: try lying on your side and lifting your top leg towards the ceiling. If this is too easy add an elastic band around your legs to increase the resistance. A more challenging exercise is to tie an exercise band around your thighs or ankles and walk sideways in both directions. You should feel a muscle burn in the side of your hips. Maintain a consistent foot strike. This corresponds to what part of your foot hits the ground first when you run. 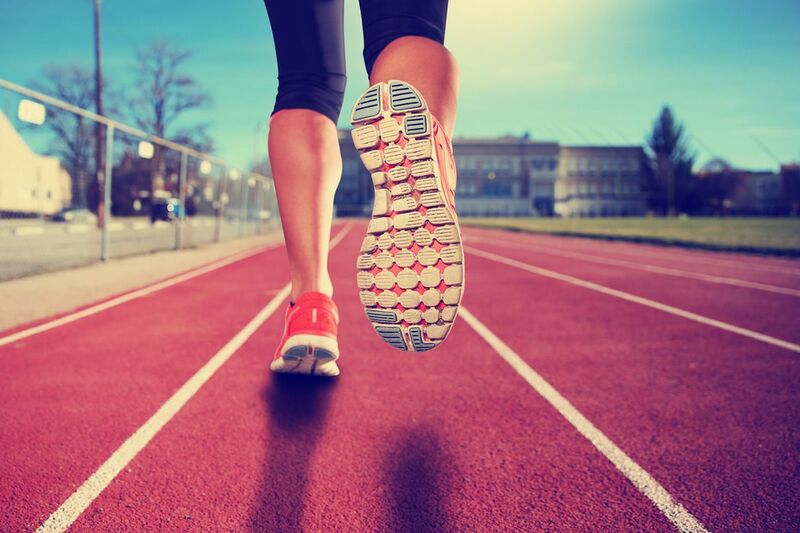 Most recreational runners are heel strikers, while midfoot and forefoot striking is more common in track athletes. The type of foot strike is not correlated with injury risk, but it is important to make sure both feet are doing the same thing consistently. Foot intrinsic strengthening – make sure your arch muscles are equally strong on both sides. These muscles help control your foot position when landing so that your foot stays neutral and is not overly supinated (turned out) or pronated (turned in). To strengthen your arch muscles put one foot flat on the ground and practice lifting your toes up and slowly lowering them down. If this is easy try standing on 1 foot. Neutral knee alignment – try to keep both kneecaps facing forward and a consistent space between your knees when you run. Be careful to avoid too much valgum (knee-knocking), which is more common in women and usually happens as a result of weak glut medius. Focusing on equally strong glut and quad muscles will help keep your knees and feet neutrally positioned and pain-free. Do I need to stretch before I run? Static stretching is only necessary before your run if you have certain muscle groups that are short or tight enough to significantly change the way you run, which will increase your injury risk. If this is not the case, passive stretching can be done after your run to reduce muscle soreness and maintain flexibility. Do I need orthotics? Many problems with foot pain can be corrected with proper strengthening exercises. It is a good idea to consult with your physiotherapist first before purchasing expensive orthotics. Having flat feet or high arches is not necessarily a risk factor for injuries; weak foot muscles are more of a problem. Exercises for strengthening the arch muscles are very effective for improving your foot stability and reducing pain. People with foot deformities or significant leg length discrepancies (more than 2cm) may need orthotics to correct permanent alignment problems. Supportive orthotics can be used as an effective temporary solution to unload certain foot structures while healing – for example stress fractures and metatarsalgia. During a comprehensive 1 hour physiotherapy assessment we will evaluate your running gait and work with you to correct any inconsistencies that may be contributing to your pain or put you at risk for injury. We are happy to answer your questions and develop a home exercise program to address your individual strength and flexibility needs. 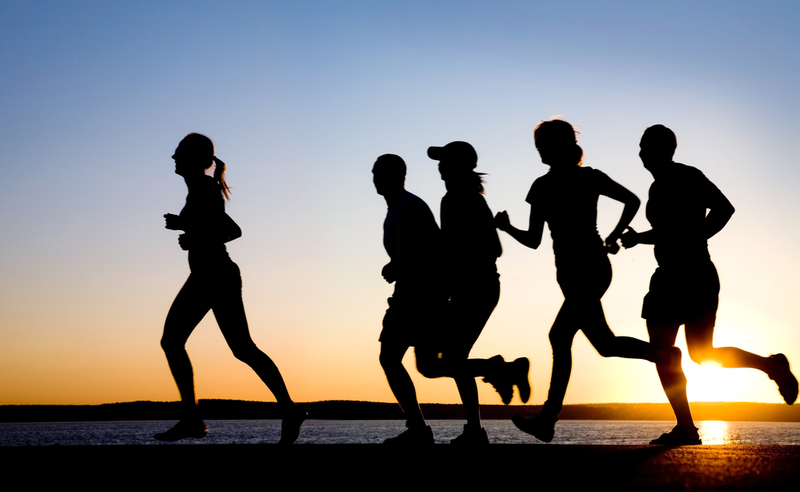 We look forward to working with you to stay healthy and help meet your running goals!